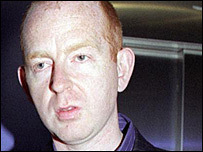 Alan McGee, the record label boss who discovered Oasis, is hosting a BBC Radio 1 show to showcase unsigned bands. The show, which goes out on Thursday night as part of the One World strand, will feature mostly unsigned talent. "The British music scene at the moment is as good as it was in 1990 or 1991," McGee said. He added bands were finding it hard to get deals because the music industry was preoccupied with digital piracy. McGee, whose Creation label was home to bands such as Oasis, Teenage Fanclub, Primal Scream and Super Furry Animals, now runs the Poptones record label. "Most of the bands I feature on the show are either unsigned or they are on their first record," he told BBC News Online. "There are a lot of great bands out there at the moment, but they are under the radar. The record companies have lost control through digital distribution." But McGee said this may help the new crop of bands stay the distance. "Instead of in 1996 or 1997, when you could get signed if you dressed up in a mod suit, to get signed now you have to be world class. That's a good thing." McGee said he did not have the time to become the "new Jo Whiley" but he was interested in seeing if there could be more episodes of the show.